From Monday to Friday: 9.00 a.m. to 9.00 p.m.
Saturday: 9.00 a.m. to 1.00 p.m.
My name is Cristina and I am a Sommelier. Food & Wine culture has been my passion for 10 years now, and I would love to share it with you and introduce you to a truly Sardinian experience, through our wines and regional specialties. My name is Cristina and I am a Sommelier and Official Taster of AIS (Italian Sommelier Association). 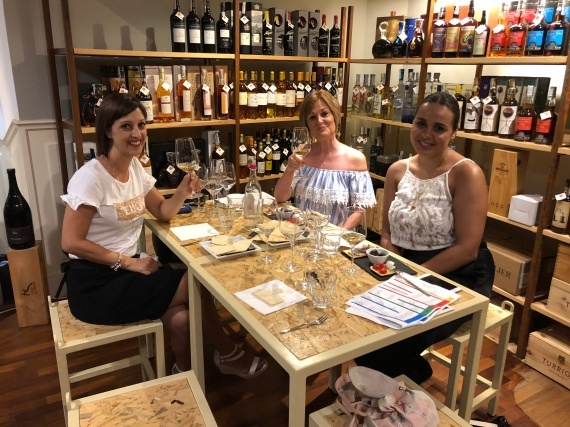 Food & Wine culture has been my passion for 10 years now, and I would love to share it with you and introduce you to a truly Sardinian experience, through our regional specialties and wines. I will taḳe you to some of our most prestigious wineries, tell you the fascinating stories about the people who produce our amazing wines, and lead you throughout the tasting experience. Fantastic Wine and Food experiences are waiting for you. _Visit to a winery and discover the wines of Sardinia (We will visit a young winery in Cagliari district, which has already received several awards in National and International competitions.We will take a walk through the vineyards while I reveal you the history of our territory and its producers. In the end we will enjoy a guided wine tasting, beautifully paired with local products). _Visit to the San Benedetto's market in Cagliari (We’ll visit Cagliari’s most important market and enjoy the taste of local products, meet our fishmongers, butchers, dairy and fruit & veg merchants, and discover together some truly Sardinian gastronomic traditions. The visit will end with a gourmet tasting of cheeses, paired with a glass of wine at one of the Market’s stands). _A fantastic guided Sardinian wines tasting in a wine shop in Cagliari (We will have a Gourmet Aperitivo at one of the most cosy and elegant Wine shop in Cagliari.Here we will taste 3 different wines, among some of the most representative of Sardinia’s territory, like classic Cannonau, Vermentino di Gallura and Carignano del Sulcis, wisely paired with local cheeses charcuterie and bread).